Hey Orlando – INNOVATION is in our DNA. Let’s unite and embrace it. Orlando has long been recognized as a top destination for tourism. But in recent years our community has focused on highlighting other prevalent aspects of our economy. Understandably so. We have so much more to offer and as the Orlando Economic Partnership proclaimed years ago, “most don’t know the half of it”. The Orlando metro area ranked in the top five of the Forbes list of “America’s Fastest Growing Cities” the last two years in a row. Many migrating are not due to tourism. I came to Orlando 12 years ago from Pittsburgh, where I was born and raised. I wanted to step out of my comfort zone. I craved a place to dream, innovate and lay roots down for an abundant future. I evaluated many locations, including New York, Tampa, Miami, Orlando and others. As an outsider, I considered Orlando a new and growing city. A city ripe with opportunity. A place where dreamers can dream and innovators can innovate to create the world of tomorrow. When I thought of Orlando, like most, Disney came to mind but not as you may think. I had no interest in the multi-billion dollar tourism industry as an aspiring tech and real estate entrepreneur. Like many, I have fond memories of watching Disney movies as a child. These films are often inspirational tales of underdogs being challenged, going against all odds to triumph and bring their dreams into reality. This journey mirrors the challenges that entrepreneurs and innovators face on their quest. It also mirrors the challenges that Walt Disney faced himself. As entrepreneurs we frequently encounter set-backs, but like Disney and the characters in his films, the best entrepreneurs pick themselves up and hold onto the hope of creating a better future through the magic of innovation. Walt Disney’s spirit of innovation, creativity and commitment to progress permeates Central Florida to this day. It’s in our DNA. 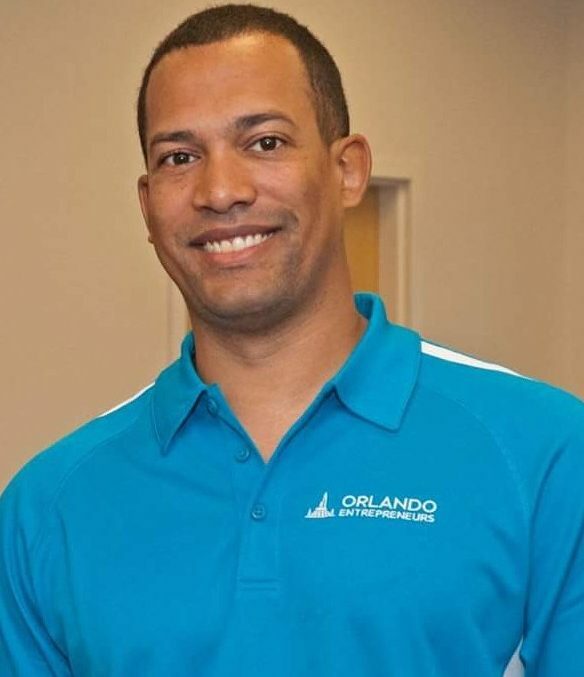 That spirit of innovation is what lured me to Orlando, helped me to choose UCF and inspired me to stay here to build my business endeavors after graduating. Our culture and fertile environment for innovation birthed our multi-billion dollar tourism industry, accelerated our space programs, created a leading defense & simulation industry, developed us into a leader within the gaming industry, and spawned a growing tech community. We tend to refer to our tech community as the other half of Orlando. But it’s time we, as a community, lean into our spirit of innovation to help us grow and evolve. 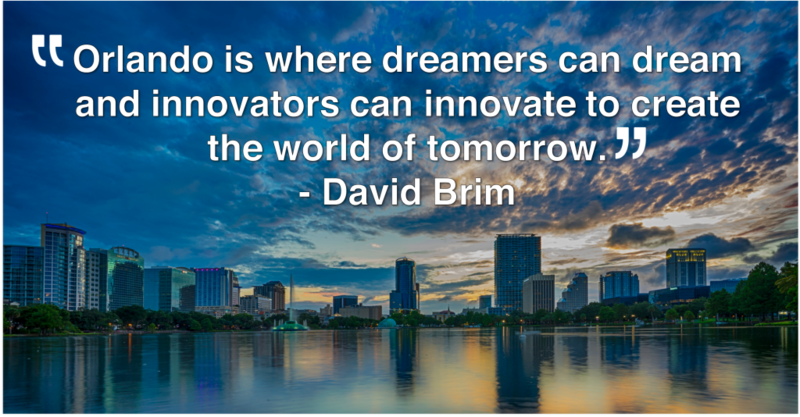 It’s time to position Orlando as the place for dreamers to dream and innovators to create the world of tomorrow. Yes, Central Florida is where you can experience your dream vacation, but also your dream education, job, startup and life. Harnessing our spirit of innovation and taking steps to engage our talent, support our entrepreneurs, fund our research, and showcase their innovative works across our ecosystem will carry Central Florida to new heights. The more wins we have and celebrate, the stronger and more sustainable our entrepreneurial ecosystem will become. Since I arrived in 2006 our entrepreneurial ecosystem has advanced, but we still have a long way to go to reach our potential. Orlando did not make a recent TechCrunch list of the top 10 startup cities in the south ranked by venture capital dollars invested and quantity of deals. We have all of the key ingredients necessary to be a leading hub for technology and innovation, but we are under resourced in terms of startup investments. To achieve greater success as an ecosystem we need to come together to better leverage the resources we do have and connect entrepreneurs to the right resources at the right time to maximize their potential. We need to celebrate our entrepreneurial successes and spark capital investments into early stage companies both from local investors and those in other markets that can take advantage of our favorable tax climate, lower cost of living and culture of innovation. I am fortunate to work with many partners in our community to connect, cultivate and celebrate our local entrepreneurs through Orlando Entrepreneurs (OrlandoEntrepreneurs.org). I have witnessed first-hand the innovative solutions that our entrepreneurs are creating as well as the great work done by the vast number of entrepreneurial service providers supporting them. This is a very exciting time for Orlando entrepreneurship and we have a bright future ahead. We must come together and lean into the vibrant spirit of innovation existing in the fabric of Orlando. If we do, there is no telling the magic we can create together. 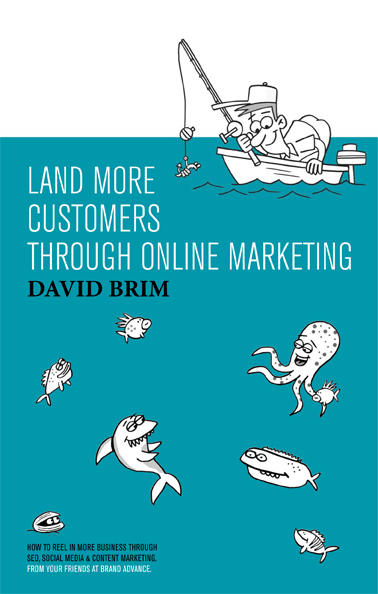 Written by David Brim for the Innovate Orlando publication.